The photograph of Basingstoke Methodist Church dates back to 1921-4, the time when my grandfather, Rev Frank Davidson was a minister in Basingstoke. In the original photo, there appears to be a spire on the tower, but that is difficult to see on the uploaded image. 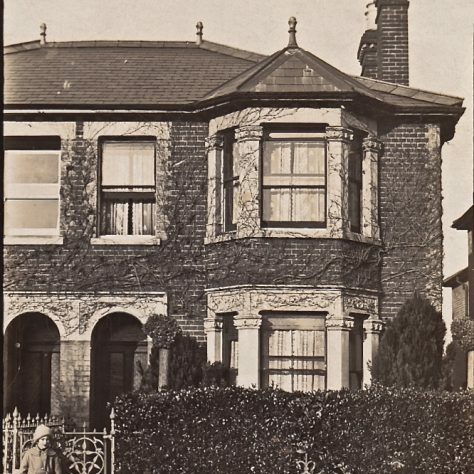 It is interesting to see that the manse, 19, Beaconsfield Road, appears to be quite a large, prosperous dwelling. My mother is the child standing by the gate. She was born in 1917. Basingstoke was on the Micheldever Circuit preaching plan in 1840. The preachers met with considerable opposition. William Merritt was apprehended and confined for preaching in the open air, though a few hours later, some friends connected with the Independent Church secured his release. By December 1842 there were three full members, and nine ‘on trial’. In 1843 the Circuit committee agreed to attempt to get land for a chapel at Basingstoke. Again in March 1846, three people were appointed “to try for a suitable place to preach in at Basingstoke.” The circuit’s efforts succeeded, and an annual rent of £10 was agreed. Membership figures grew, and by September 1847 there were 23. 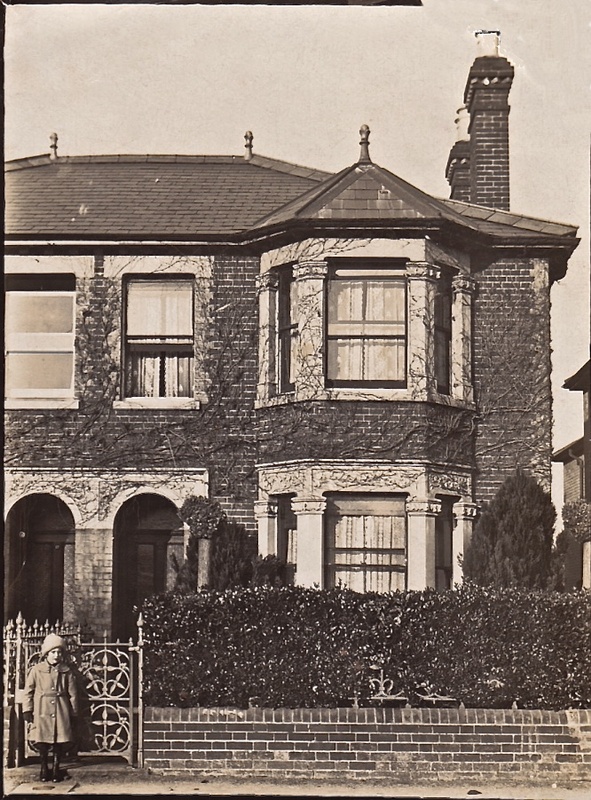 In time land was purchased with two cottages in Flaxfield Road, behind the Pear Tree pub, and a house and chapel were built. Opening services were held on 25th, 28th, 29th March and 4th April 1847; one of these meetings was a tea meeting. It was felt that “a gracious unction attended the several discourses and addresses.” At the 1851 religious census Basingstoke recorded 40 in attendance in the morning, 40 in the afternoon, and 100 in the evening. The chapel was enlarged in 1863. 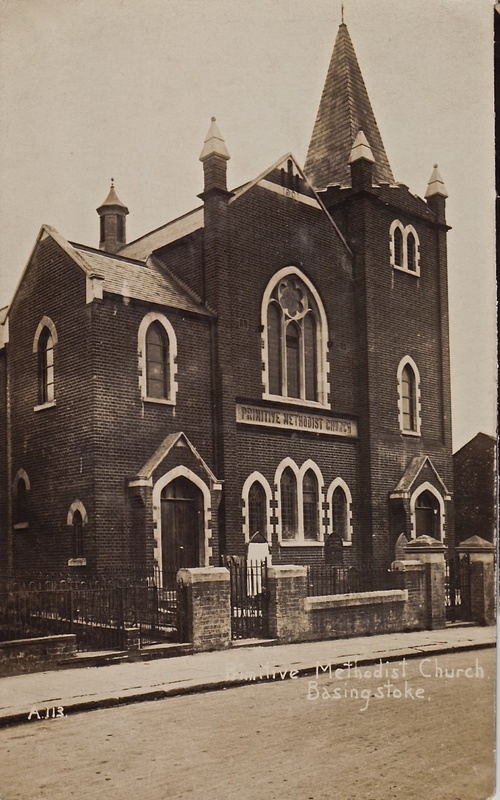 In 1901 the congregation moved to a new, larger chapel on Sarum Hill. Basingstoke suffered from massive “development” in the 1960s. 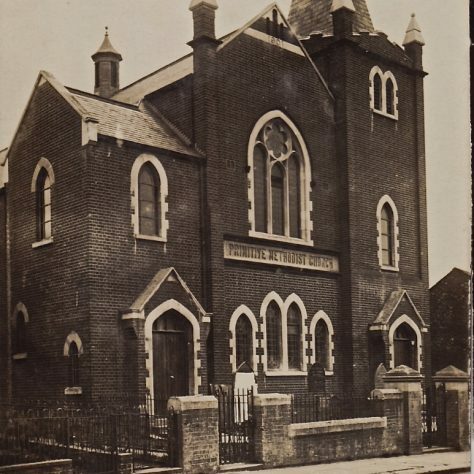 The former Wesleyan and Primitive chapels were demolished, along with the previous chapel in Flaxfield Road (and the Pear Tree pub), and an amalgamated congregation was set up in what is now called Trinity Methodist Church, also on Sarum Hill, though not the same site as the former Primitive chapel.